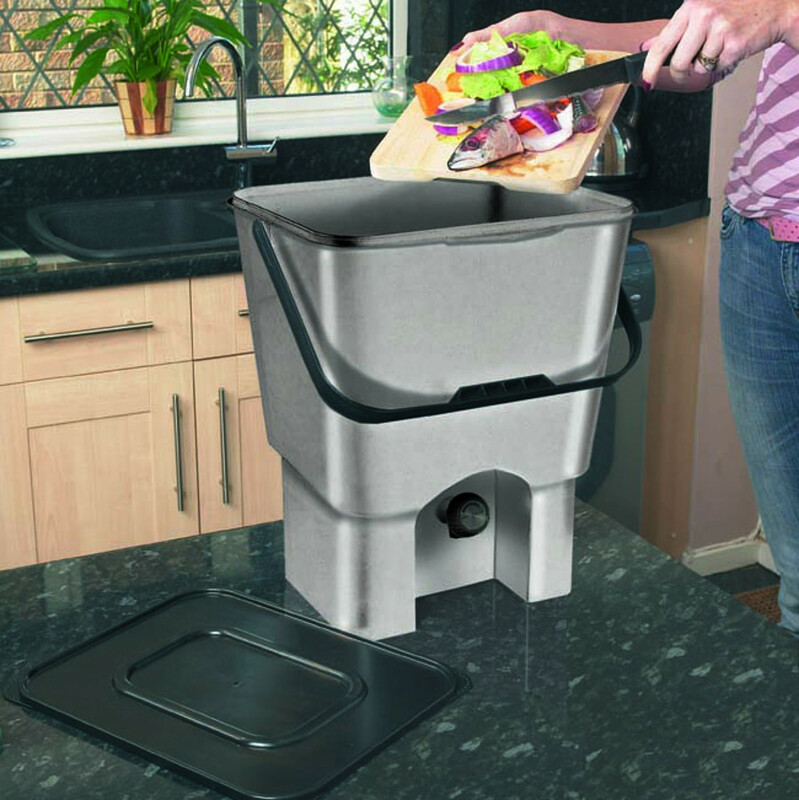 The Bokashi Bin (also known as the Kitchen Composter) is a product which allows you to home compost ALL your kitchen waste including fish, cooked or raw meat and dairy products as well as any other organic material. With this double pack you can leave one Composter to ferment while you fill the other. Hassle-free to use, simply add all of your compostable kitchen waste to the bin, sprinkle on a handful/layer of Bokashi Bran and seal the air tight lid. 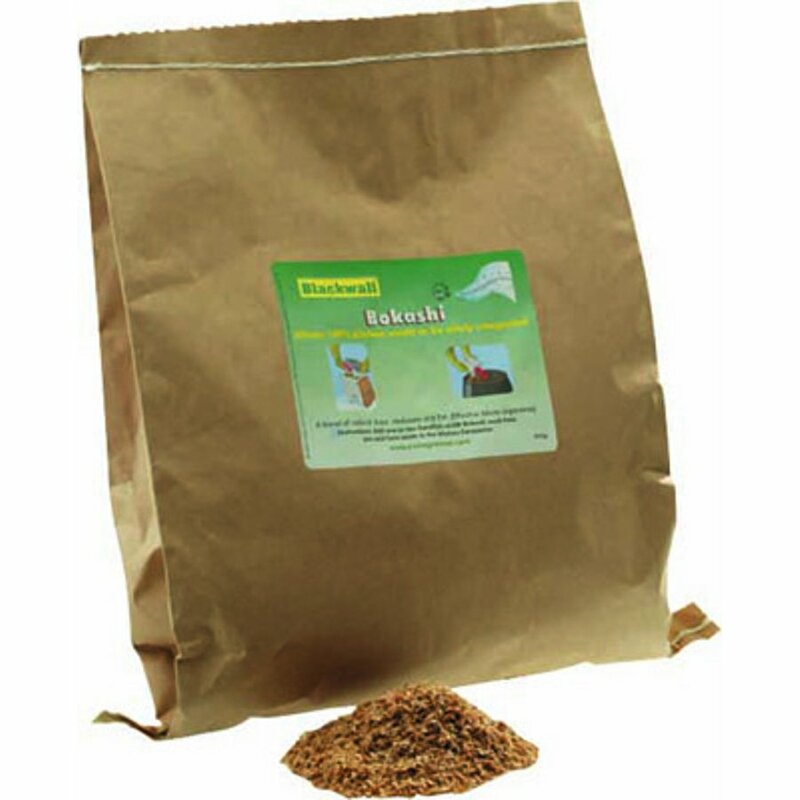 Bokashi is a dry mixture of bran and molasses that has been infused with beneficial micro-organisms which work together to stop pathogens, prevent putrefaction and eliminate foul odours. After around 2 weeks the food waste has been treated and is ready to be added to a conventional compost bin or heap, or put into the ground where it will break down and then be ready for plant use. Please note - the finished product from the bokashi bin is sometimes referred to as 'pre-compost'. It is too acidic to be used on plant roots and requires breaking down in soil beforehand. 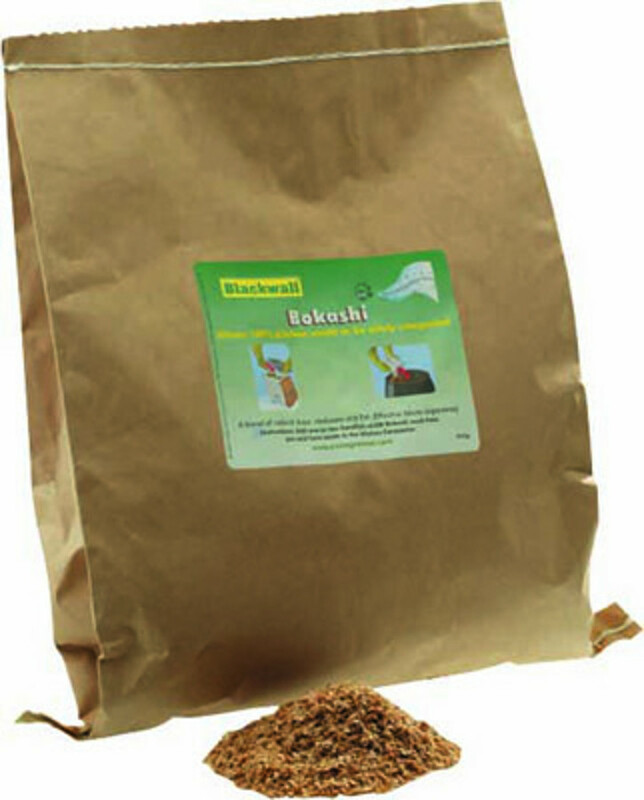 Simply dig a hole away from your plants, add the finished fermented bokashi product, and cover with around 8 inches of soil. Leave this for around 2 weeks and then it's ready to use directly on your plants. The process also produces a liquid feed which is alive with beneficial microbes and can be diluted as a plant feed or poured down the drain to prevent algae build up and odours. The Twin Pack Bokashi Compost Bin product ethics are indicated below. To learn more about these product ethics and to see related products, follow the links below. I really wanted this to work well, as I'd been meaning to get one for years, but I'm afraid I have to agree with a previous reviewer regarding the tap. I ordered one bin. I filled it with food waste, covered it with bokashi bran, sealed it and left it to ferment for 2 weeks. Two things happened; one, the food didn't really seem to be breaking down anymore than it would without the bran, and two, the tap leaked, leaving a constant puddle on the kitchen floor. I contacted Ethical and they got the manufacturers to send me a new tap. This leaked just the same. The bin is now in the garden, acting as a stopover between the kitchen and the compost bin. Although the food doesn't break down any more quickly, at least the residue from the leaking tap is washed away by the rain. Sadly, not a success in the kitchen. Shame. First batch seems to be fermenting ok, lots of juice to feed plants, BUT both bins have leaked (swapped waste to the second bin after a few days to try to stop) around the spigot which is really frustrating. Tap is screwed in as tight as possible, needs a better seal. And the lid needs to be weighted down or it pops up as seems to be slightly twisted, so a bit disappointed. Q: What are the dimensions of the bin? A: Hi there, Many thanks for your query. The bins have an 18L capacity and measure H38 x W23.5 x D17cm. I hope this helps.